Today, I will be talking about my favorite green…the best green leaf in the entire world, k a l e. There are so many reasons why I’m so in love with this green, and I could talk about it all day. I actually wrote a whole research paper on it last year (if you actually want to read it, I’ll put a link to it). 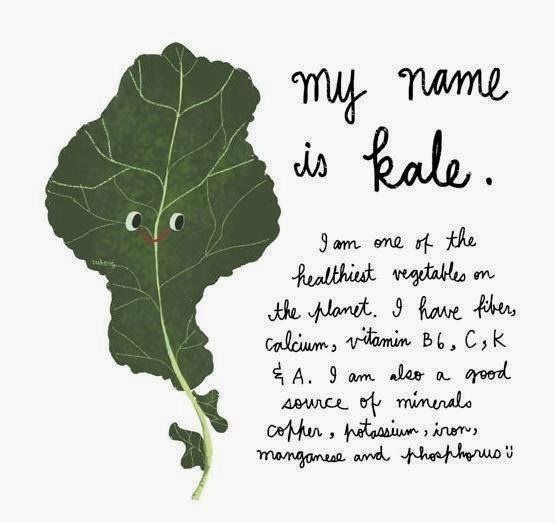 Kale is not only delicious, but its also super cheap, and has so so so so many health benefits. When you first try kale, especially if its raw you may think I’m crazy for saying it’s so delicious…especially if you are iceberg lettuce person. Kale has a deep, green taste and depending on the type of kale can be a little bitter. It may take a few attempts for you to get used to the deliciousness of the green, but it is worth it in the end. If you’re not a fan of the raw kale (which most people aren’t) that is totally fine because it is an a m a z i n g green to cook with. Because it is packed with nutrition, and is such a hearty green it cooks beautifully. This green is also great to sneak into smoothies, for added nutrition. If you add enough fruit (three parts fruit, one part green) you can barely taste the kale. The versatility of this green is also enormous. 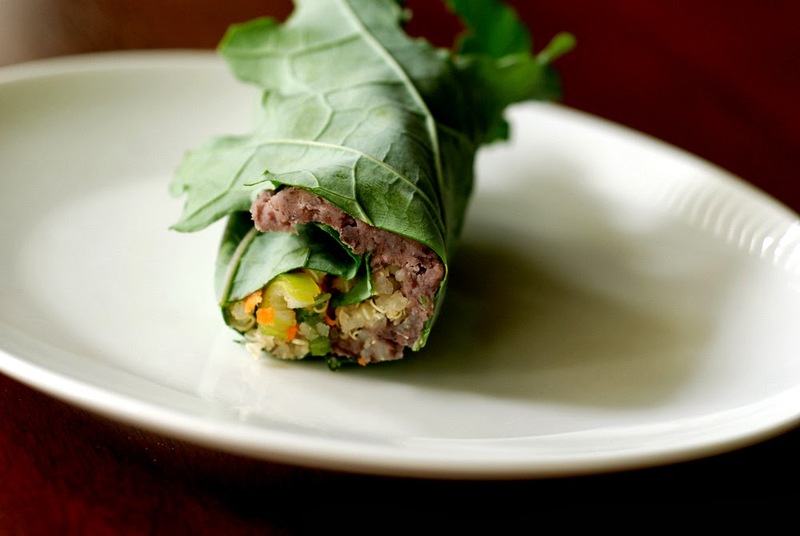 Because this green is so hearty, it can be used as a wrap, or “taco” for a great carb-free, non-processed option. 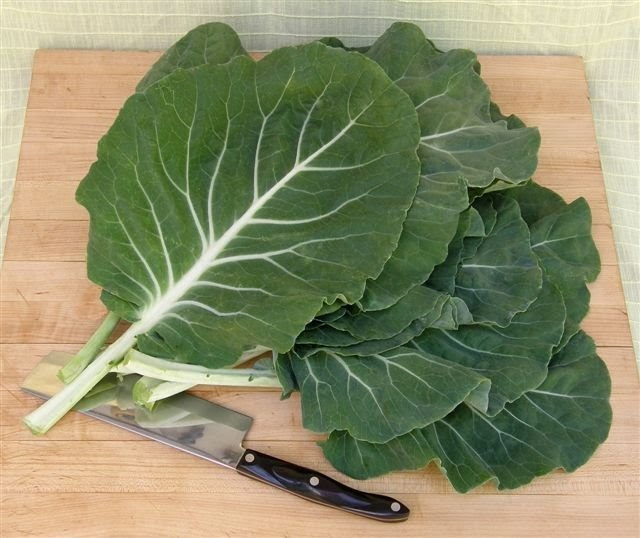 Also, because kale is so great to cook with, it is perfect to throw into soups, or stews because it can withstand heat very well. Another great way to use kale is to make chips out of them! 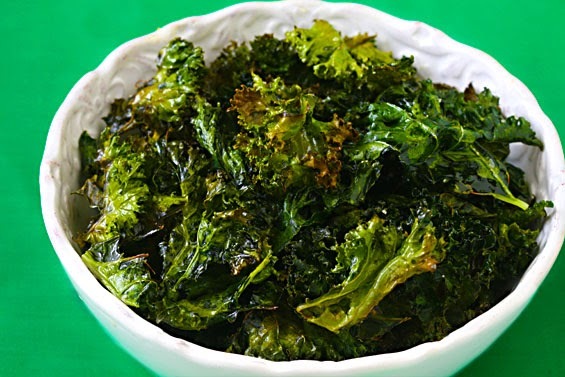 Kale chips are becoming the latest “trend” and you can find them in most grocery stores, but the store-bought kale chips are so expensive, it is kind of ridiculous. So I definitely recommend making your own. 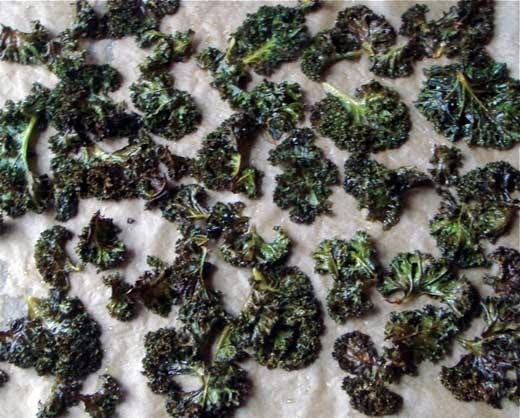 k a l e c h i p s.
All you need to do is de-stem the kale (curly kale works best) wash and fully dry it, then lay it out on a cookie sheet, spray it with a little cooking spray (preferably olive oil, or coconut oil spray) then season it with whatever you’d like (salt, pepper, garlic, red pepper flakes). Lastly, put it in an oven preheated to about 400 degrees, for around five to ten minutes or until they are crispy (keep a close eye on them, so they don’t burn!). Then let them cool and enjoy! The nutrition in kale is kind of unbelievable. It really is a powerhouse, and provides so many benefits in small amounts. It is very low in calories, you can basically eat as much of it as you want (as long as you’re not adding butter or a ton of other things to it). In just one cup, you can get well over the recommended amounts of vitamin K (great for blood clotting, and strong bones), and vitamin A (awesome for your eyes). 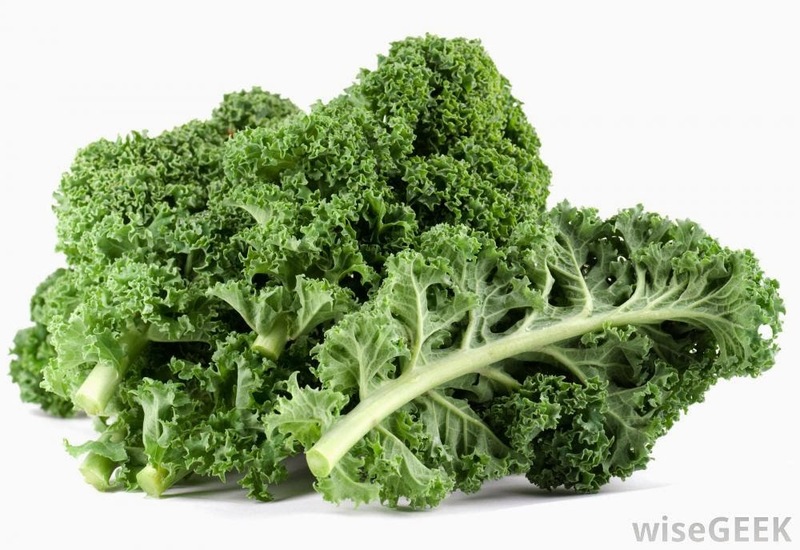 One cup of kale also has about 70% of the recommended amount of vitamin C (which is obviously really good for your immune system). Not only does it have a bunch of vitamins, but it also has a ton of antioxidants as well as anti-cancerous properties. Kale is also a great detoxifier. 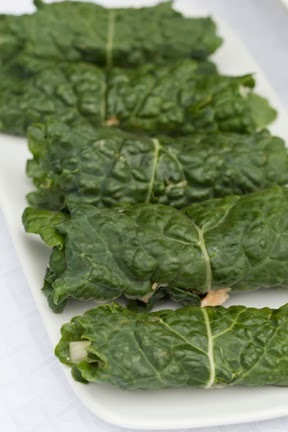 Like I said before, I really could talk about how great kale is all day long! 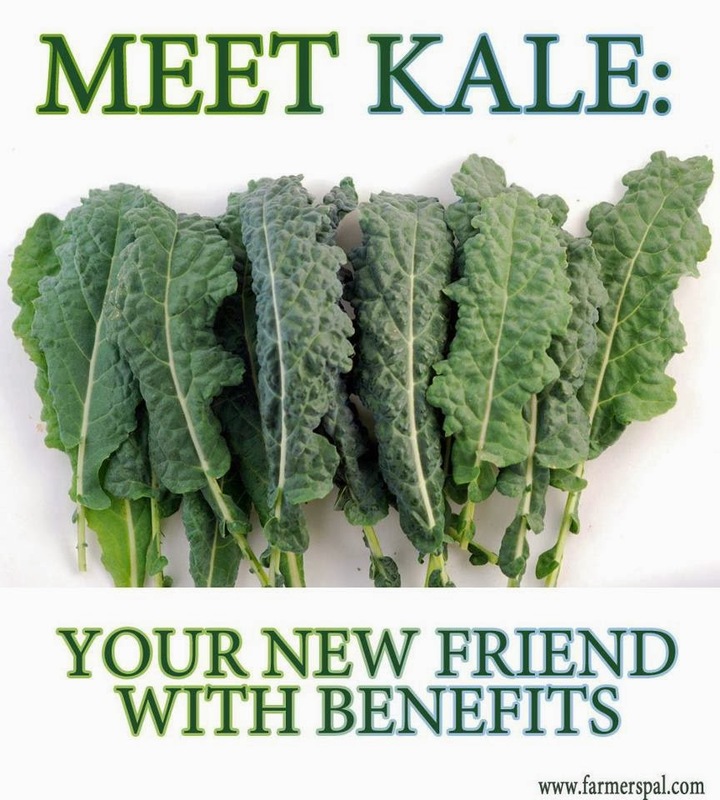 So hopefully, I have persuaded you to give kale a try if you’ve never tried it before. And if you have tried it before, and hated it hopefully you’ll give it another chance…your body will thank you! Previous Are Vitamin C Supplements a Waste of Money?